The 2019 Point-in-Time Count will take place on Wednesday, January 30, 2019. The Point-in-Time Count is when our community comes together to count the number of people who are experiencing homelessness on the streets and in temporary shelters throughout Mecklenburg County.  The Point-in-Time Count is a required activity and is connected to the federal funding that Charlotte-Mecklenburg receives for the Continuum of Care (CoC). However, our community goes above and beyond to use the Point-in-Time Count as a way to both raise awareness about housing and homelessness and to collect data that can inform local decision-making. Learn about how you can get involved by reading this post. Mecklenburg County recently released the newest report from the Housing Instability and Homelessness Report Series by the UNC Charlotte Urban Institute: 2018 Charlotte-Mecklenburg State of Housing Instability and Homelessness. This is the first annual report on housing instability and homelessness data in the community and is the first time Point-in-Time Count information is combined with data from other homeless system measures and housing instability metrics to provide a full picture of housing needs in our community. In addition to the report, Mecklenburg County released a toolkit to help take the information from the report and translate it into action: the next steps or “So, What.” This blog post is the second in a series focused on the next steps outlined in the toolkit, looking at change at the community level.  Mecklenburg County recently released the newest report from the Housing Instability and Homelessness Report Series by the UNC Charlotte Urban Institute: 2018 Charlotte-Mecklenburg State of Housing Instability and Homelessness. The report serves as an annual report on housing instability and homelessness data in the community and is the first time Point-in-Time Count information is combined with data from other homeless system measures and housing instability metrics to provide a full picture of housing needs in our community. In addition to the report, Mecklenburg County released a toolkit to help take the information from the report and translate it into action: the next steps or “So, What.” This blog post is focused on one of the next steps outlined in the toolkit from the community level. Last week’s blog was dedicated to the release of new data in the 2018 Out of Reach report from the National Low Income Housing Coalition. The blog discussed the need for more housing assistance, including from the private sector to decrease housing costs and close the gap. This week’s blog takes on the second part of the Out of Reach Report: the problem of low wages, the growth of low wage work and need to address wages in addition to housing to close the gap.